What is the difference between weatherproof and water-resistant outdoor speakers? A quick answer would be water resistance is all about durable water repellancy treatment. Essentially, this means when water goes on it, water doesn’t break down to seep in. It’s why when water hits water-resistant materials it has small beads on it. The downside is moisture still gets in. You know when you take a hot shower and it gets all steamy? Now imagine your phone in the same room. 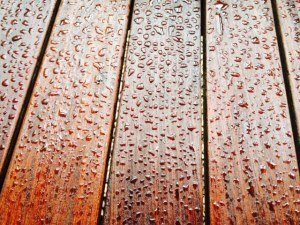 Although it’s not as bad, rain getting on your electronics gradually gets worse over time, especially in humid environments where there is more condensation. This leads to device failure later down the line if kept unchecked. Weatherproof means protection against different elements. This means not only rain but sand, wind, corrosion and more. For example, regular speakers usually have steel in their speakers, but when a Bluetooth speaker or outdoor speaker is weatherproof, manufacturers use stainless steel because it’s better against corrosion. But the good news is consumers aren’t stuck with speakers which aren’t weatherproof. There are techniques and strategies to make sure your speakers are weatherproof. The first technique is to paint your speakers with a polymer. The key is to make the polymer high gloss. Even though the main uses of high gloss polymer are for aesthetics, their application is valuable because it’s cheap, chemically resistant, and easy to use. To break it down even more, let’s get into the anatomy of weatherproof speakers. 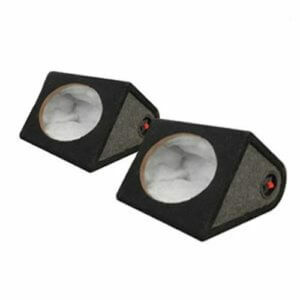 Speaker cabinets is a synonym for speaker enclosures. The purpose of an enclosure is to prevent sound waves from mixing up resulting in inefficiency and sound disruption. Do you know one cheap way you can protect your speakers? It’s so simple that we’ve mentioned it multiple times in different articles. But don’t feel bad if you don’t get it because sometimes the easiest things to overlook are right in front of us. The answer is to place your speakers undercover. Whether that’s under a roof or leather cover, this is something you can do right now. 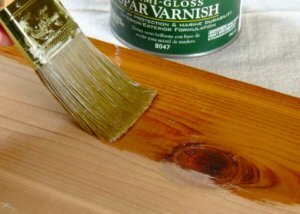 Another alternative for wood speaker cabinets is to use spar varnish. This is great against moisture and corrosion but it’s more expensive than polymer. Its another option to think about when deciding what to invest in. Just because this option is more expensive, take into account what type of return on investment you want. Sometimes it’s worth it to pay more now instead of paying more in the future. Protecting drivers against water either takes polymer or polyurethane. Remember that your environment matters a lot. If you place your speakers in the Amazon expecting them to last all year without any type of protectant, then exit this article. Products like Thompson’s Water Seal or DuraSeal work wonders preparing speakers for the environment. Thompson’s Water Seal also works great with wood, concrete, and masonry. 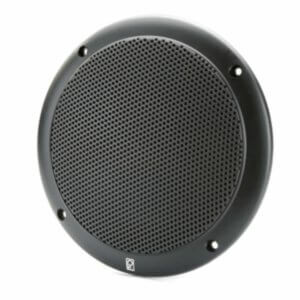 Not only will you be able to waterproof your drivers, but you can include the cabinet and your patio speakers. Anywhere you can place the cables undercover is ideal. For instance, one place that makes sense is underground. Direct burial cables aren’t in direct harm of moisture, but you want to make sure they’re protected with conduits or PVC’s. 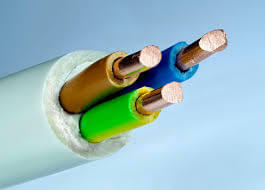 PVC stands for polyvinyl chloride and its covers speaker wires like a jacket covers a person. Its insulation properties make sure dirt particles don’t creep through. One exception to cables is when they’re longer than usual. When that happens, PVC’s or conduits will not cover it. Your best bet in situations like this is to find other weatherproof material. 2 solutions that come to mind are polymer materials and Thompson’s Duraseal. But don’t let that be your only options. When using alternatives to PVC’s, there’s a high chance it won’t work as well because it doesn’t have tight enclosure compared to PVC’s. These would just be cheap alternatives. What Are The Materials To Actual Weatherproof Speakers? The first characteristic you want to look for is thick cabinet walls. This is great for acoustics which prevents reverbs. But what’s more important is the material inside the speaker cabinet. Along that speaker cabinet should be layers of foam underneath. The foam has properties which repel water away and makes the water look like it’s running away like a tear going down someone’s face. A big plus to that is it doesn’t allow moisture to get in unlike “water-resistant” materials. In combination with the foam is a nylon mesh which works well in taking down moisture. Of the other qualities that make it special are its high-temperature resistance, low elongation, and excellent strength. It’s not weak and thin like paper. Its tight and interwoven mesh work like a strong spider web. You might be asking, how is a spider web strong? A spider web is RELATIVELY strong. This means for its size, it’s really good. Another way to look at this is ants and how much strength they actually have. Scientists say ants can lift up to 10-50 times their weight. That’s RELATIVE strength. Nylon mesh is the same way. Another component to great weatherproof speakers is a grill system. Think of it as a layer of protection. One analogy that compares is a home security system. The first line of defense for a house should be a door or gate. If that is penetrated, you then have an alarm to trigger the police. And if that fails you, make sure you defend yourself by using your body or some other type of weapon. 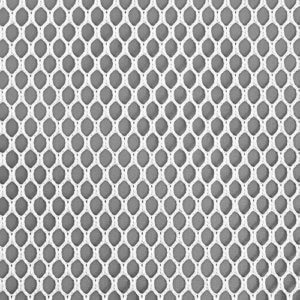 The grill system depends on the manufacturer, so even if the speakers use the grill system, the materials can make or break the difference in quality. Weatherproof and waterproof are similar because they both fight against water. But waterproof doesn’t fight against all elements. Waterproof is bad in some respects because of the perception surrounding it. When we think of anything “proof”, whether it’s soundproof, fireproof, or bulletproof, we believe it’s as good as advertised. The truth behind waterproof is there is no industry standard or benchmark. And this is bad because any device can be considered “waterproof”. What happens when a company markets a product calling it “waterproof” with no industry standard? They’ll tell you how good their product is against water, but that’s only relative to what they’re used to. They set their own tests and that’s because there’s no organization out there testing their speakers. To compare, think of combat sports. If fighters got to decide what was cheating or not when it came to supplements, every fighter wouldn’t be on the same playing field. Thankfully, there is an organization called USADA and other sports commissions which test fighters to an industry standard. There is no standardized way to test if it’s actually waterproof. And when there is no bar set, standards are open to interpretation. To sum it up in one sentence, the difference between weatherproof and water-resistance is one protects against multiple elements, and water-resistance only focuses on fighting against water. But what’s infuriating with both of these terms is both don’t totally protect against water. Condensation is something that creeps inside your speakers and destroys it. Even if your speakers rate high on the IP scale, the longest you can submerge your speakers in water is 30 minutes. The best way to make sure your outdoor speakers work well against water is before the purchase happens. 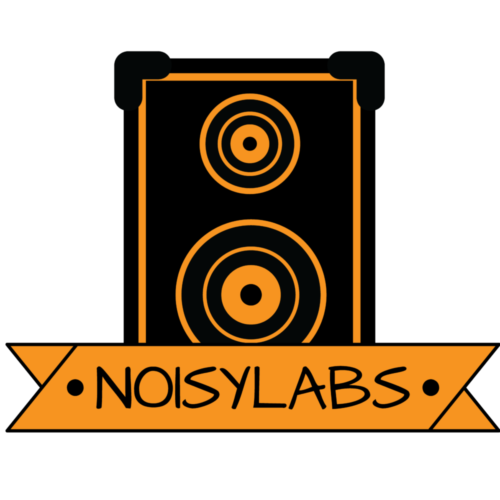 Making sure your speakers have a grill system, nylon mesh, and protectants for the components inside is crucial. Investing in research before you invest in speakers is the best investment you’ll make because once you purchase it, the only additional actions you can do is to add protectants to the exterior, or cover wires. There’s nothing guaranteeing the safety of internal components. Shoot…even when you do your best with the exterior, you still need to keep re-applying. The main takeaway you should take is speakers aren’t totally impervious against water, but there are tips and techniques to prevent damage. All it takes is research and action.